What does this mean for the visibility of my site? Well, first of all, since a Google user can now take a look at a cached thumbnail of your website before visiting it, it means that your site's design is more important than ever. We've spoken before about how proper design can lend credibility to a company's website, and now it can mean the difference between a new visitor and a quick brush-off. Additionally Google Preview has the ability to provide the user with a callout of text that includes the keywords they originally searched for. 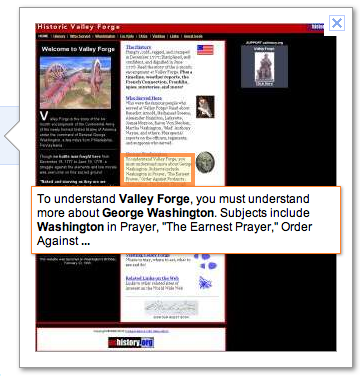 So, for instance, if I'm the owner of a pizza restaurant based out of Jamestown, NY that has taken the time to optimize my website properly for the appropriate keywords, if a user types in "pizza Jamestown, NY" my website's preview will have that text highlighted within the thumbnail. This is a big help to folks who use Google because it lets them know right away if a website is offering what they've searched for, and it's also a big opportunity for businesses to focus on the keywords that are relevant to generating more visits to their website. Using that same scenario, a pizza restaurant in Jamestown, NY, I would want to make sure that my website was optimized for the keywords above and not something entirely different. As an example, many restaurants like to publicize the fact that a famous individual ate in their establishment - so if I were to have a large amount of content regarding a recent visit from Denzel Washington but less content about the product or service I provide, I may be pulling people to my site that are Denzel Washington fans rather than hungry potential-customers. 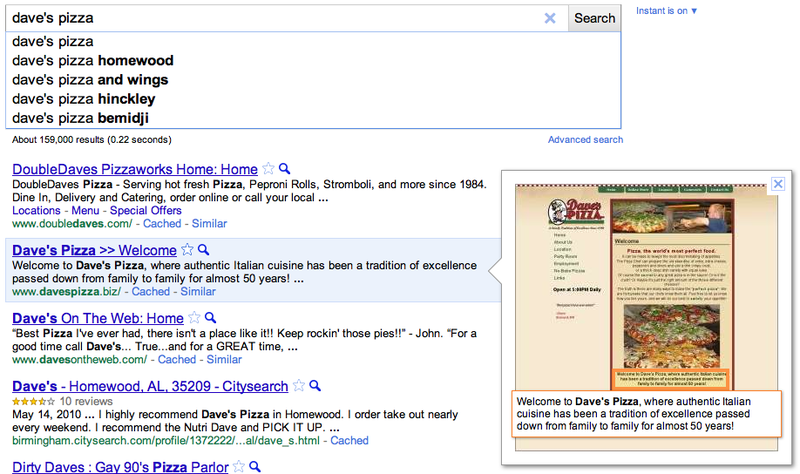 What does your Google Instant Preview say about your business? Now's your chance to experiment! If you haven't tried out Google Instant Preview yet head on over to Google and insert a quick search with terms that you would like to rank for. You'll notice that now each listing has a magnifying glass next to its title...go ahead and click that to see a preview of the website you're focusing on. Pretty neat, huh? 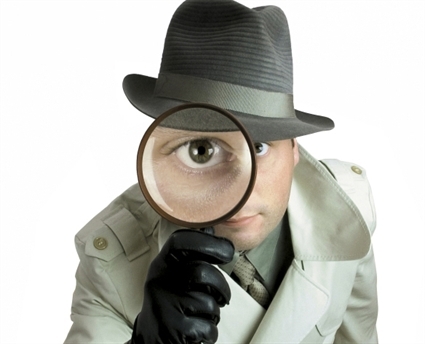 If it's your business's website you're highlighting, does the preview look enticing to you? Are you showing relevant highlighted keywords in the preview, if any at all? If not it may be time to reevaluate your online strategy.